Things are changing… just not fast enough. I hang out with some pretty clever people. I read a lot of blogs and articles written by practitioners and therapists with an evidence based bias. I teach and engage with people who affirm to me that things are changing, practitioners are paying attention and institutions are taking on board newer ways to teach and conceptualise our roles in manual and exercise therapy as being aligned with what the evidence tells us. ……. and then…. a work colleague of a close relative of mine, a lady that I know and have a great deal of respect for, hurt her neck a couple of weeks ago. She slept funny on a different pillow and her neck was stiff for several days. Following that she started to develop a headache – it was a busy time at work and there were some stressful things going on at home for her. Sick of the pain and not sure where to turn, she mentioned it to her work colleagues at lunch and was directed to a practitioner up the road. He took x-rays of her whole back (at her expense), told her that her neck curve was “almost backwards” it was so flat, she had a scoliosis and that she would need 10 weeks of manipulative treatment twice a week. She went along with the whole treatment plan, including buying into the “my x-rays were so bad” and the “I have a scoliosis” thing. This was happening in my neighborhood, to someone I knew and cared about. …..and then…. another relative hurt their back and asked if I could see them. I was in the middle of moving overseas and was flat out, so suggested that she see a practitioner she had previously seen and gotten on well with. She is fit, healthy, young, employed and sensible. This is the third episode of low back pain she has had in about a year and there was no radiation, leg pain or other symptoms that might have pointed towards disc involvement. 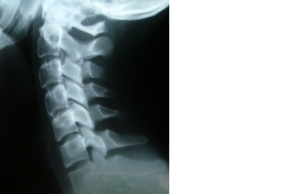 The practitioner treated her with some manual therapy which gave good relief – she was able to get back to work, but then told her that if it didn’t get better after three treatments, she would need to get and MRI to “check out the discs”. It makes me so mad to hear this stuff, more potently when it happens to people that we know and love – we know that it goes on every day, and it is what drives those of us trying to bring about change to persist. But sometimes it just seems so hard!! How do we connect with the x-ray practitioner to show him that he is potentially doing more harm than good before he has even touched the patient? How can we trust that there is not another generation of these practitioners being generated as we speak? How do we get the MRI practitioner to understand that by handing that referral slip to my relative, she is setting her up for fear and unreasonable expectations and a likely poorer outcome? Both of these practitioners are fairly young (I am 36, and am definitely young, if that helps to give you an idea of how I am making that call) and both are bound by their national registration bodies to do CPD on a two year cycle. The intention of this is obviously to try to keep practitioners up to date with changes in their field. The problem seems to be, that the interpretation of what constitutes acceptable CPD is incredibly vague and some practitioners ride the waves of “woo courses”, business or marketing type courses and other nonsense that fills their quota, year after year – completely defeating the purpose. Do we mandate what people need to cover in their CPD cycles, (more than the existing compulsory components which often tend to focus on safety, privacy and other compliance issues)? Do we tighten the rules on what we consider to be acceptable CPD with a reasonable evidence base? I can’t see it happening in the near future – I can imagine the uproar! Times are certainly changing and there is movement and momentum. The most obvious place to be focusing our efforts are at an undergraduate level, and within my profession there are some affirming and exciting changes occurring in our teaching institutions that lead me to feel a lot more optimistic. In the meantime, for the sake of my sanity, I am going to stick with reading my sensible folk blogs and stay off the stupidity forums – that way I can maintain my own momentum! This entry was posted in Uncategorized on July 4, 2015 by beyondmechanicalpain.